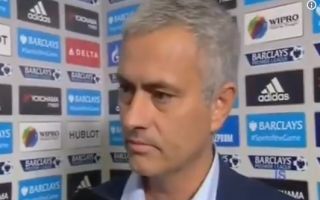 One Chelsea fan feels Jose Mourinho ended up being proven right about the Blues in this interview from 2015. The Portuguese tactician didn’t last much longer at Stamford Bridge after this rant, in which he claimed they were at a crucial moment in the club’s history. MORE: Brexit and Premier League transfers: What will leaving the EU mean for Manchester United, Liverpool, Chelsea, Arsenal and co.? Mourinho felt that if Chelsea did not stick with him, they’d be sacking their most successful manager and sending the wrong message to the players in particular. Chelsea did, in fairness, end up winning the Premier League title under Antonio Conte the following season, but sacked the Italian at the end of the subsequent campaign. Maurizio Sarri is now struggling with Chelsea again as the west Londoners seem to go around in circles. Did Mourinho have a point about their decision to axe him then? Has it simply fuelled a culture in which they blame the manager and allow too many under-performing players to remain unaccountable?